Best Wishes in this new year! One of the most harmful personality traits in a relationship is that of passive aggressiveness. A person with passive aggressive tendencies hides their feelings rather than discussing the problem and getting it out in the open. Instead of communicating with their partners honestly about what’s bothering them, a passive aggressive person will shut up their feelings, stop talking, glare, sulk, and generally put up a virtual stone wall. They refuse to talk and just let their resentment, hurt or anger dam up. They’re not going to show you just how much something is bothering them. Instead, they’ll pretend to be agreeable and friendly, like nothing is wrong. Everyone shuts down sometimes. It’s not unusual to do that. However, the person that does this one hundred percent of the time will eventually erupt like a volcano once their emotions have reached the boiling point, or there’s simply no more room behind that dam for one more negative feeling. When this happens, you truly don’t want to be in the way of that outpouring of emotions or you could get hurt in the fallout. Rather than use this passive aggressive behavior to handle things that you don’t like in your relationship, try opening up a bit more about the way you’re feeling. Communicating your thoughts and feelings in an honest way is the only way to actually resolve any problems that may be present in your relationship. When you hold in how you feel about something, the problem only becomes worse. Unresolved issues in any relationship can be their undoing, and when you go on pretending that everything is fine with you, you’re going to see just how much damage can be done to the relationship. When your partner says or does something that hurts your feelings or makes you angry, don’t act like it is ok. That’s what a passive aggressive person does and it only makes things worse. All the while you’ve got this friendly smile plastered on your face, your feelings are seething on the inside and your blood is boiling. Holding all of that on the inside is akin to sweeping problems under the rug. There’s only so much room under that rug for problems to accumulate. Think of this when you start holding in your feelings as there also only so much room in there for your feelings. Eventually, that dam will burst and it won’t be pretty. You may feel it’s better to hide your feelings rather than take a chance on an ugly confrontation or an upsetting scene of some sort. It may seem that you’re not hurting anyone by hiding the way you feel but, in the end, that’s not true. You’re hurting yourself, for one, and you’re also hurting your relationship. Each time that you let something pass that bothers you, it erodes the foundation of your relationship a little bit more. Don’t let your relationship be ruined in this way. The only way to fix relationship problems is to talk them out. Resist the urge to be passive aggressive and communicate any issues you have with your partner. It is the only way to keep things alive. 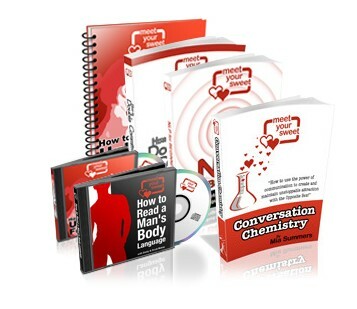 Get your copy of Concerstion Chemistry and take your communication skills to the next level!